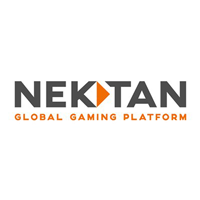 Nektan PLC (LON:NKTN) Interim Chief Executive Officer Gary Shaw caught up with DirectorsTalk for an exclusive interview to discuss their BetVictor contract. Q1: A busy period for the company with a first quarter trading update, you also announced a new CEO and now an update on the BetVictor contract. If we start with the first quarter update, it all looked very positive, can you talk us through the key points? A1: I think that from our perspective, we were particularly delighted with the fact that we grew the business during the summer period which is traditionally quieter, obviously people away on holiday. So, we had great last quarter at 5.7 million and to grow the business to 6.4 million during what is traditionally a slower period including July and August was great news for us. We’re particularly pleased by the developments that we’ve seen in our B2B business which grew in different markets and we were pleased that we obviously launched our product into several new markets during that period as well. So, overall it was a very exceptional quarter for us and 12% growth is pretty good for any company, quarter on quarter. Q2: Now, as mentioned, you also announced the appointment of a new CEO, Lucy Buckley, what can you tell us about Lucy and what does she bring to the table? A2: I think the first thing is that Lucy has worked across the gaming sector for quite a while so although she’s fairly young, I think in terms of our sector which isn’t really that old, the online gaming sector is probably only 15/16 years old in terms of it being a consolidated market, she’s been in market for over a decade. So, in some way, whilst she’s young she’s an industry veteran. I think the other thing about our business is that we are becoming a global business, so the reality is we need somebody that’s young and fit and ready to go at the global opportunities that are developing. I think Lucy is going to be capable of handling any number of opportunities that we bring in. I think from my perspective, it’s been a busy period for me and having the additional executive bandwidth in the company is quite important because we are finding that we’re getting a lot more incoming commercial opportunities on a global basis. So, having additional senior leadership is going to be important for us. Q3: Now that BetVictor have gone live with your casino platform, what does it mean for Nektan? A3: I think it’s the validation of what we’ve been doing and having an operator of the size and scale of BetVictor, they’ve grown their business considerably in the last few years and very successfully, so choosing us as a platform provider for the casino side was quite important. I think it’s two-fold. First of all, it’s not just the fact of its excellent technology, I think in addition to that it’s the fact that we can respond very quickly. It’s one thing having great technology, but the modern world is about speed and we can react to a partner’s needs and requirements exceptionally quickly so if a client comes in and says, ‘I need something by next week’, they get it next week, it’s not in 5 months’ time. So, having that first tier 1 in, we call a tier 1 a material global brand in the gaming space is quite important to us and a big step but I think we’ll see more development of that type over the next two quarters. Q4: What is it that seems to give you this competitive edge over your peers? A4: From my perspective, it’s the fact that we’ve got basically most of the what I’d call the ‘better’ gaming companies integrated into the platform, we’ve got solid relationships with them. More importantly, it is that ability to be able to react quite quickly to market situations and dynamics, very few platform providers would be able to provide the support and services in the multiple languages and the multiple jurisdictions that we can of quickly. Most companies are geared towards one specific market, so they might be very good in Europe but don’t have much footprint in Asia or vice versa, they might be very good in Asia, but they don’t have much footprint in Europe. We as a business are really addressing Asia and Europe and in addition to that, between now and the end of the year we expect to make an announce around Africa. So, we really see ourselves as a global business and able to respond very quickly with the core platform and that does give us a significant competitive edge. Q5: Finally, what should investors look out for in terms of news flow over the coming months? A5: One of two things that I’d be looking out for is the announcement of more deals in new markets and in addition to that, looking at what we’re doing on the content development because we’ve got some exciting announcements to make there with regard to parties that’ll integrate directly into our platform and see us as a key distributor for them. Some of those deals will be on an exclusive basis so these are third parties that we’ll work with who will give us content, but they’ll really look to Nektan to deliver that content into multiple markets, working in conjunction with them.